LOS ANGELES — Mayor Eric Garcetti on Thursday, March 14, broke ground on the Automated People Mover (APM), a train which will connect travelers directly to airport terminals and create new and convenient locations for passenger pick-up and drop-off outside the Central Terminal Area. 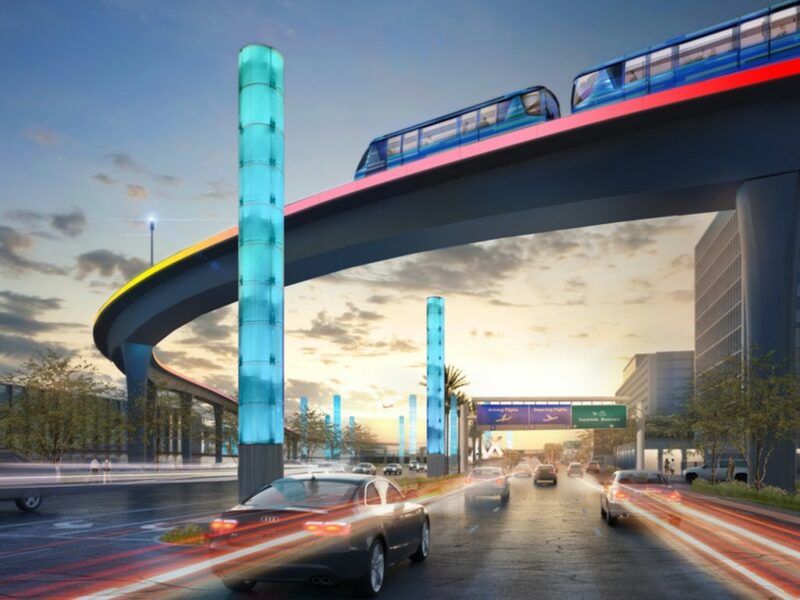 The historic infrastructure project will transform public transportation, reduce traffic congestion, and deliver a world-class experience for travelers at Los Angeles International Airport (LAX). The Mayor was joined by Councilmember Mike Bonin, Supervisors Janice Hahn and Mark Ridley-Thomas, Board of Airport Commissioners (BOAC) President Sean Burton and Los Angeles World Airports (LAWA) CEO Deborah Flint, as well as community and labor leaders at the groundbreaking ceremony. Since taking office, Garcetti has guided forward a more than $14 billion transformation of LAX that began in 2009. Mayor Garcetti’s historic infrastructure investments have strengthened working families and the middle class. Under his leadership, unemployment has been cut in half and 212,000 new jobs have been created. Construction of the train is expected to create more than 2,000 jobs.